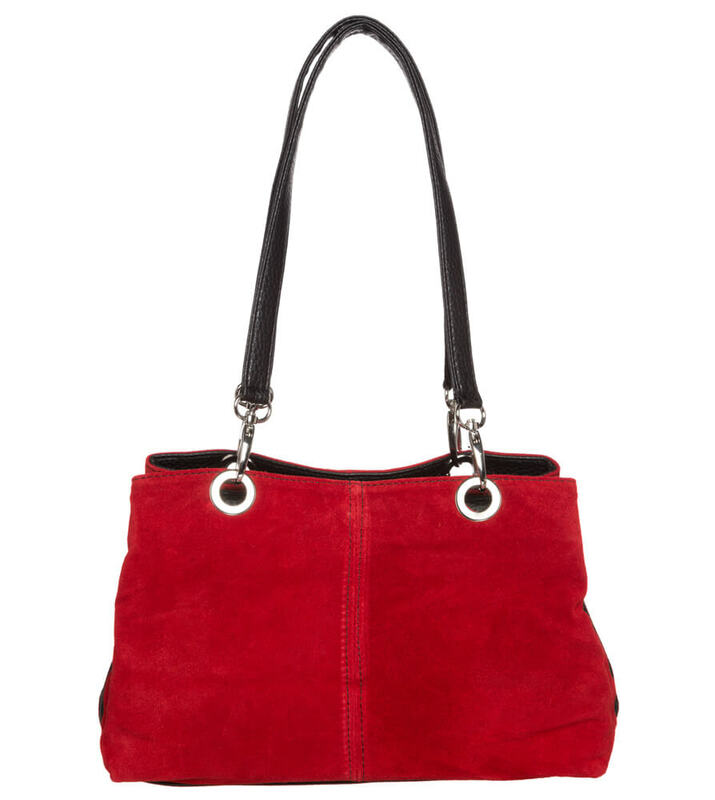 Chic Trachten bag in vibrant red! 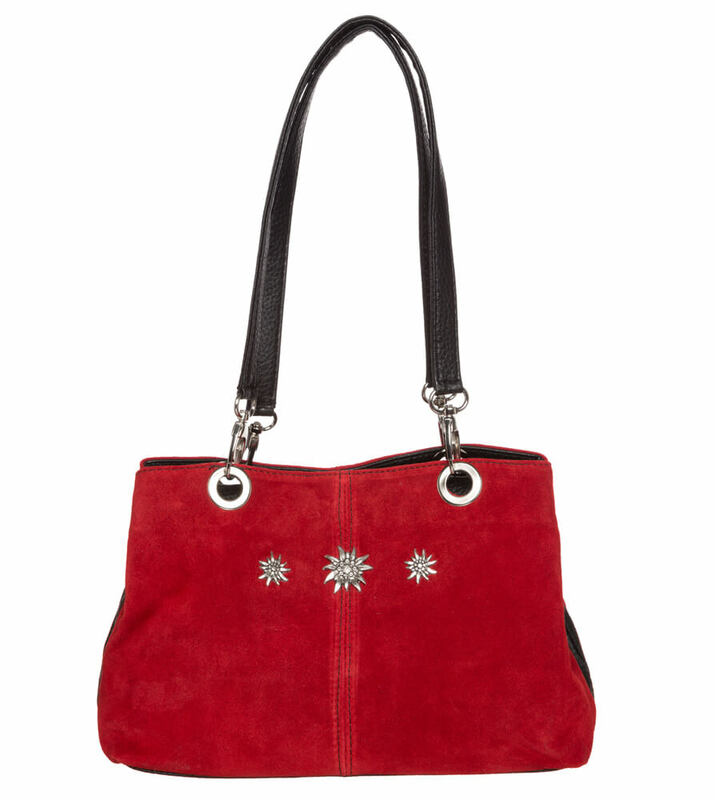 This soft, cherry red leather bag is a real gem and is bound to get heads turning. 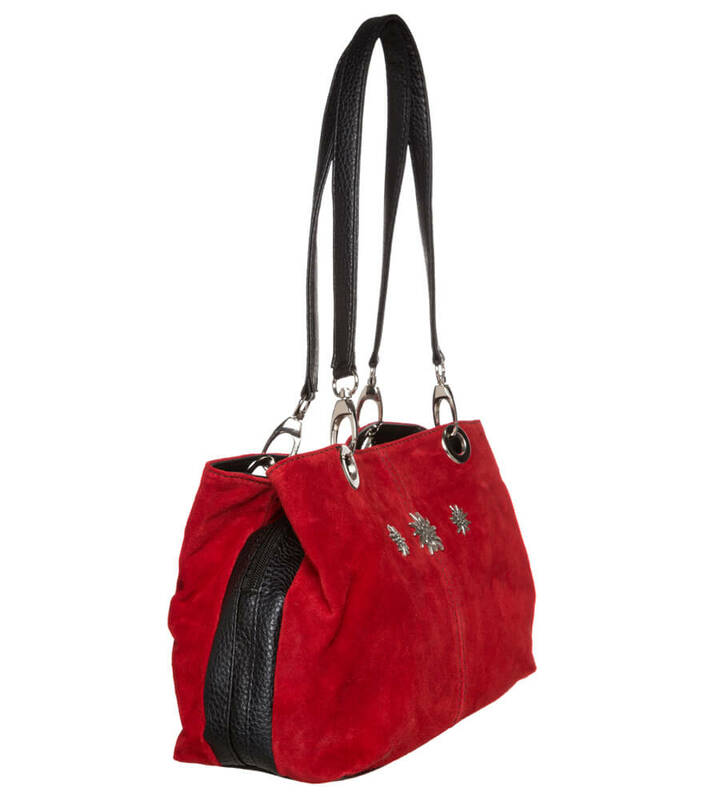 Whether you’re going on a country outing, meeting a friend for coffee at the market or just heading to work, this Schuhmacher bag is both a practical choice and a fashionable find. The red leather is of a very high quality and contrasts wonderfully with the dark brown edging at the strengthened bottom and decorative seams. 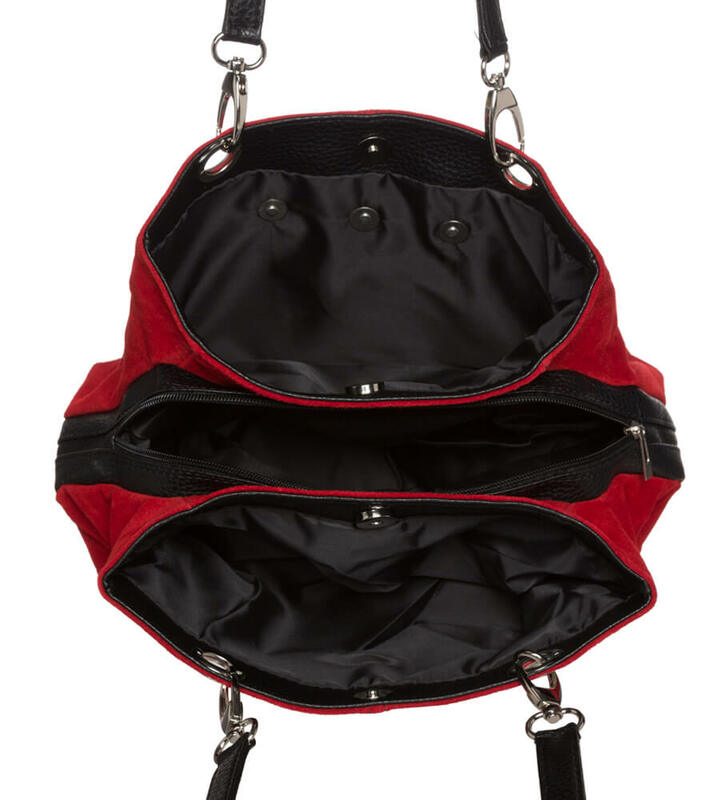 Three lined compartments offer plenty of space for those everyday essentials and can be closed securely with a magnetic push button and a zip fastener. Three chic, silver-coloured edelweiss appliqués at the front offer a hint of tradition and make this bag a truly picture-perfect piece.